Dangote Cement leads the gainers table for the second consecutive day on Friday, which has led to trading activities on the Nigerian Stock Exchange (NSE) to sustain a positive growth. 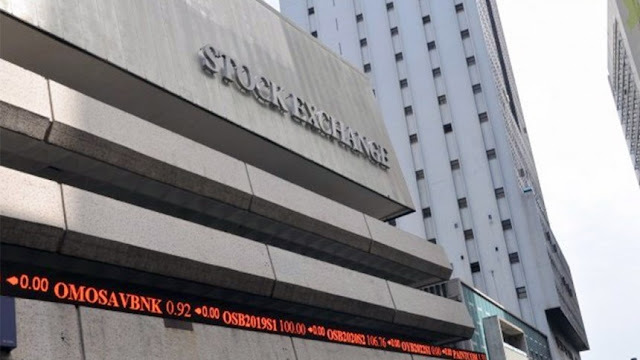 Specifically, the market capitalisation inched N81 billion or 0.63 per cent to close at N12.933 trillion against N12.852 trillion recorded on Thursday, with the All-Share Index rising by 220.05 points or 0.63 per cent to close at 35,426.21 compared to 35,206.16 on Friday. Reports from the News Agency of Nigeria (NAN) state that the crucial market indices appreciated further with 0.63 per cent growth, following gains by some blue chips and Dangote Cement topping the gainers table during the day, gaining N5 to close at N235 per share, followed by Flour Mills with a gain of N1 to close at N21.50, while Ecobank Transnational added 60k to close at N20 per share. NAN further reported that investors traded a total of 527.74 million shares valued at N4.53 billion in 3,313 deals, which was against the 220.71 million shares worth N2.53 billion exchanged in 3,287 deals on Thursday.